Inspired by the Academy Award-winning film, An American in Paris brings this classic tale to Broadway, for the first time, with music and lyrics by George and Ira Gershwin and a book by Tony and Pulitzer Prize nominee Craig Lucas. The show is directed and choreographed by Olivier Award winner and Artistic Associate of the Royal Ballet, Christopher Wheeldon. An American in Paris is the romantic story of a young American soldier, a beautiful French girl and an indomitable city, each yearning for a new beginning in the aftermath of World War II. The show opened on Broadway on April 12, 2015 at The Palace Theater. 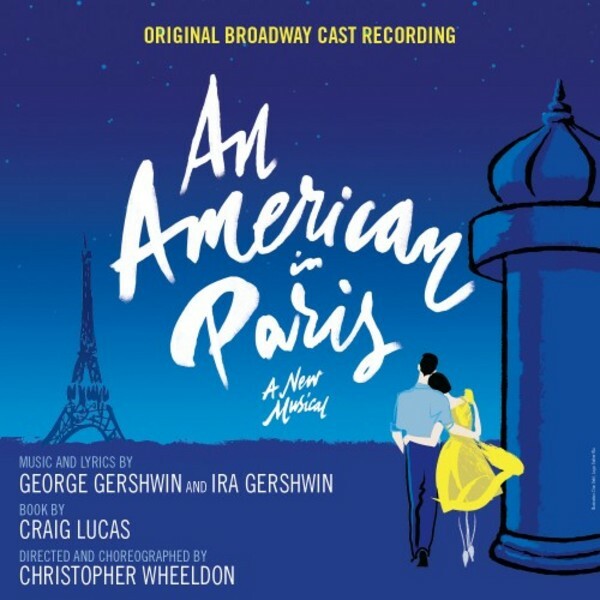 The brilliant score for An American in Paris includes many well-known Gershwin classics like 'I Got Rhythm', '�S Wonderful', 'But Not for Me', 'I�ll Build a Stairway to Paradise', and 'They Can�t Take That Away from Me', with haunting orchestral music including 'Concerto in F', 'Second Prelude', 'Second Rhapsody� and 'An American in Paris'. The score was adapted, arranged and supervised by Rob Fisher with orchestrations by Christopher Austin and musical direction by Brad Haak.